Dr. Woo was born and raised in Sunnyvale, California. 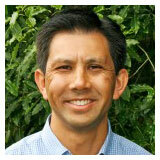 He has been practicing orthodontics in Petaluma and Sebastopol since 1993. His knowledge of orthodontics and his ability to achieve excellent treatment results has earned him much respect in the dental and patient communities. 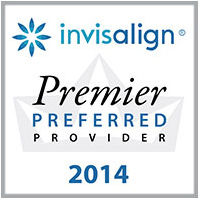 He was voted the people’s choice as “Best Orthodontist” in by the Argus-Courier in 2010, 2011, 2012,2013 and 2014. When he is not working, Dr. Woo can be found enjoying the lifestyle of Sonoma County along with his wife and two children. Some of his favorite activities are playing tennis, basketball and golf, skiing and cycling. When time allows, he likes to play the drums and guitar. Dr. Woo graduated with honors with a Bachelor of Arts degree in Biology from U.C. Santa Barbara. As a student at the top ranked University of California, San Francisco dental school, he was president of the research group, sat on the admissions committee and graduated near the top of the class. He was given The Dean’s Award for his achievements in dental school and inducted into the dental honor society Omicron Kappa Upsilon. Dr. Woo earned a Bachelor of Science degree and Doctor of Dental Surgery (DDS) while at U.C.S.F.. Through a fellowship between U.C.S.F. and the University of Vienna, Austria, Dr. Woo completed an in depth study of the temporomandibular (jaw) joint and its disorders. At St. Louis Medical Center, he earned a degree in orthodontics and an additional Masters in Dental Science (MS). Most recently, he was awarded the Diplomate of the American Board of Orthodontics designation for his proficiency and excellence in the orthodontic field. Dr. Woo participates in continuing education courses to learn about new orthodontic technologies. This enables his staff and him to consistently provide the highest level of care available in the field. Also, Dr. Woo provides continuing education courses – on the different aspects of orthodontic treatment – for dentists, hygienists and dental assistants.